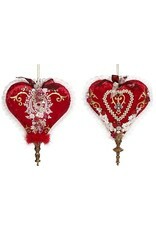 Hanging Jeweled Hearts Set of 2. 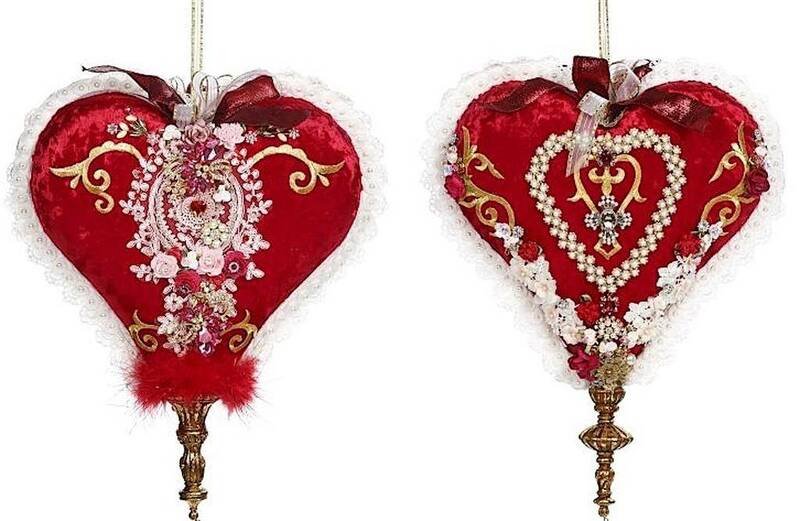 Mark Roberts 2019 Limited Edition Valentine's Day. Size: 15-16 inches +-. 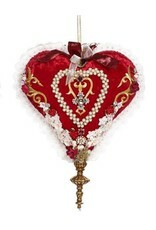 Mark Roberts Limited Edition Valentine's Day Spring Collection, Decorative Heart Collectible. 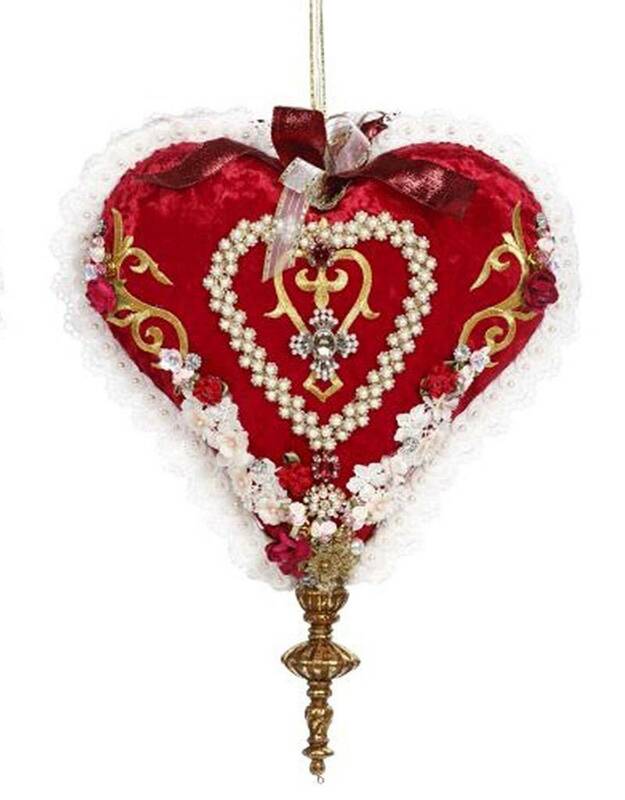 Stunning Red Velvet Heart with Intricate Embroidered Jeweled Ribbon and Lace Decorative Details finished off wtih a Gold Finial Point. Great for gifting and romancing a loved one, creating an Valentine's Day Display, Valentines Display Window, Decoration for a Wedding and Romantic Events. 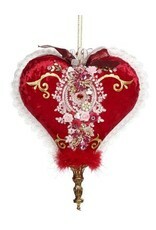 Valentine’s Day Decorations, Decor, and Gifts at the Digs N Gifts Holiday Store and Gifts Shop.